Tourism represents about 10% of the world’s GDP and the Asia Pacific region alone receives 308 million tourists per year. The fastest growing regions for tourism globally are East Asia and the Pacific, and countries such as Vietnam have seen a 756% increase in tourists over the last ten years. 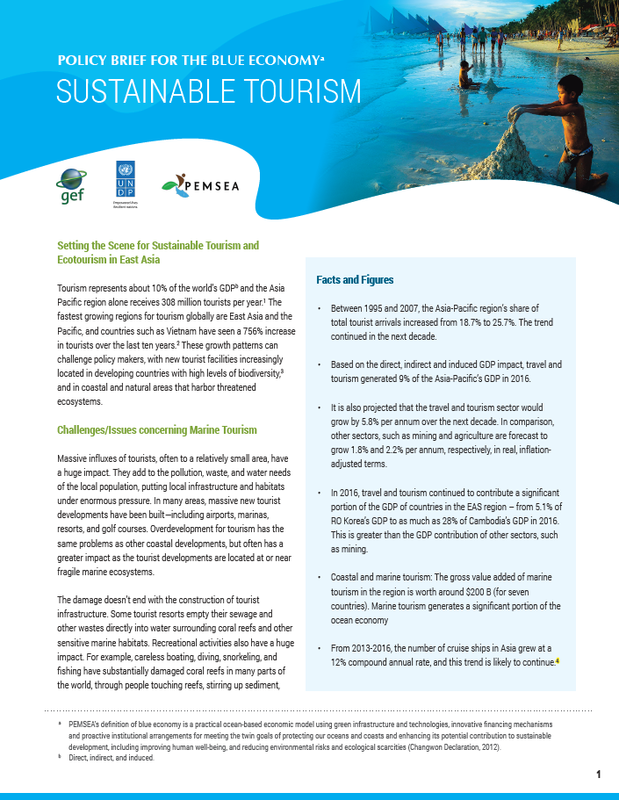 These growth patterns can challenge policy makers, with new tourist facilities increasingly located in developing countries with high levels of biodiversity, and in coastal and natural areas that harbor threatened ecosystems.